Today I ran a half-mary. Not a race but 13.1 miles and just a touch more since I had to walk back to my car so 13.31 total. 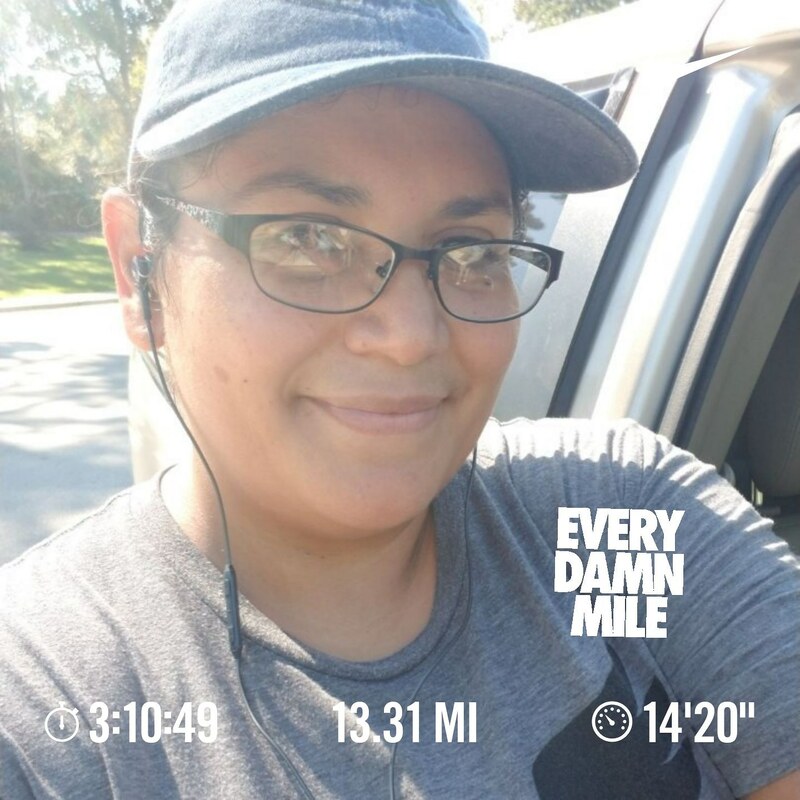 2 weeks ago I ran 12 miles with my friend from high school and it was a total disaster! It took us over 3 and half hours and my ankle was killing me so I couldn't actually run after 7 miles. It was so hot and I started off too fast. It was also on the road, which really killed my ankle. I gave myself last weekend off. I started a new job and wasn't sure about barely being able to walk after trying to run a half-mary. Today I set myself for success. I picked an outdoor track that would be nice to my ankle. I ran in the morning so it wouldn't get too hot. I got it all done in just under 3 hrs and 10 minutes. I smashed that 12 mile time! My ankle did well. I'm tired and sore but not so much that I can't move, just moving a bit slow. The Nac Half is in a few weeks Nd despite hearing it is super hilly, if time allows I want to run it. But even if that doesn't happen I am still going to keep training up to a marathon. I really believe I can get one done before my 40th birthday. So onward and upward!